Toyota brings its RAV4 compact crossover into the 2016 model year with a few nips and tucks, some new techno-bling, and a brand new trim offering. This 5-seat, 5-door compact crossover is now available in 4 trims—the base LX, the up-featured XLE, the sporty and new-for-2016 SE, and the flagship Limited—and returns packing standard front-wheel drive (FWD), with all-wheel drive (AWD), of course, remaining optional. Look for the 2016 RAV4 to sport a spiffy new grille, while higher trims are slated to gain LED running lights and headlights, not to mention silver-tinted skidplates, with all of it bolstered by a slightly more aggressive profile. Also complementing the above, meanwhile, are a trio of new exterior colors, upgraded interior materials, some improved techno-goodies, and a new optional safety package. Oh, and there’s also a RAV4 Hybrid debuting for the upcoming year, which is covered in a separate Overview. Standard power for this capable crossover, meantime, remains the nifty 2.5-liter inline 4-cylinder (I4) engine that’s again mated with a 6-speed shiftable automatic transmission to the tune of 176 hp and 172 lb-ft of torque. Look for a return of the current RAV4’s 9.2-second 0-60 time, which is about right for this class of commuter cars, while fuel efficiency is again expected to run 24 mpg city/31 highway/26 combined in FWD versions, and 22/29/25 in AWD editions. As for returning appearance features, expect the lower 2016 RAV4 trims to again roll on 17-inch steel or alloy wheels, while all trims return boasting power-folding mirrors. The XLE and higher trims, including the new SE, are additionally slated to carry a standard power sunroof, keyless entry and ignition, a roof rack, and heated power-adjustable mirrors, with the SE and the Limited throwing in 18-inch alloy wheels and a power liftgate. The new RAV4 SE, by the way, also boasts a sport-tuned suspension and a more athletic look. Inside, again depending on the trim selected, look for the upcoming year’s RAV4 to feature cloth or leatherette upholstery, a power-adjustable driver’s seat, heated front seats, full power accessories, and reclining rear seats, with the Limited also tossing in standard memory for driver's settings. Expect the debuting SE, meantime, to toss standard paddle shifters and unique sport-style gauges into the mix of convenience features. Also brand new in the 2016 RAV4 trims is a 4.2-inch driver information display gracing the gauge cluster, while such standard equipment as Bluetooth hands-free calling, a CD player with 6 speakers, and auxiliary audio input all return for next year. Every trim is slated to get upgraded Entune infotainment, satellite radio, and HD Radio, all interfaced with a new 7-inch touchscreen display. The entry-level 2016 LX, meanwhile, is expected to feature entry-level Entune, now with a budget-priced voice-activated navigation feature added. As is traditional, many comfort and convenience perks that are standard in higher trims will remain available as options in lower trims, now including the 3 new exterior colors. Again, the Limited (and possibly the soon-to-be-introduced SE) will be eligible for a GPS navigation system packaged with an 11-speaker JBL premium audio setup. Standard safety equipment for the 2016 RAV4 will doubtless reprise the 4-wheel antilock brakes (ABS), traction and stability control, front side-mounted airbags, front and rear head airbags, and the driver’s-side knee airbag that adorns the current versions, with the already-noted LED daytime running lights now added. Higher trims will also boast such added standard safety features as turn-signal-integrated mirrors, blind-spot monitoring, and front fog/driving lights. Furthermore, Toyota’s Safety Sense package is scheduled to be introduced in select 2016 RAV4 trims and will sport adaptive cruise control, forward-collision mitigation with pedestrian sensors, lane-departure alerts, front and rear parking sensors, and a 360-degree camera system. Currently, this Toyota mini-ute gets a second-best 4 out of 5 stars in government crash tests, with the Insurance Institute for Highway Safety (IIHS) giving it a top-notch rating of Good in all categories. Owners of the present RAV4 iterations remain impressed with its value, reliability, mileage, and driving comfort, though there are those who complain that the Entune system needs work. Meantime, the 2016 editions should begin gracing dealer showrooms in the fall of 2015, where they’ll again challenge Honda’s uber-capable CR-V, Mazda’s sporty CX-5, Ford’s elegant Escape, and Jeep’s terrain-taming Cherokee. 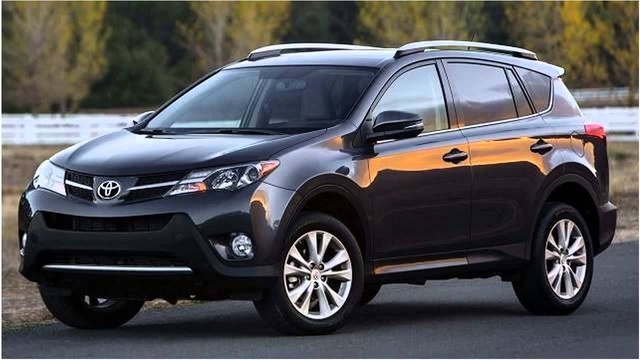 What's your take on the 2016 Toyota RAV4? Steve First, Toyota needs to deal with the glare problem haunting the center instrument cluster. Second, ditch the suitcase fabric and "leatherette?" interior. How about durable fabrics and real leather ? Those are the only two issues I've had with the RAV4 line....so far. Users ranked 2016 Toyota RAV4 against other cars which they drove/owned. Each ranking was based on 9 categories. Here is the summary of top rankings. 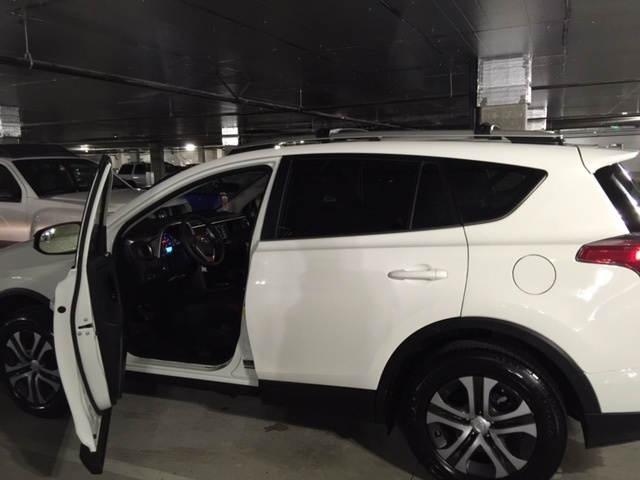 Have you driven a 2016 Toyota RAV4? Engine light goes on once or twice weekly. Goes off when I turn car off. Dealership can’t figure it out. No codes showing. My headlight relay is not working property and I want to purchase a replacement. I just don't know what to search for.